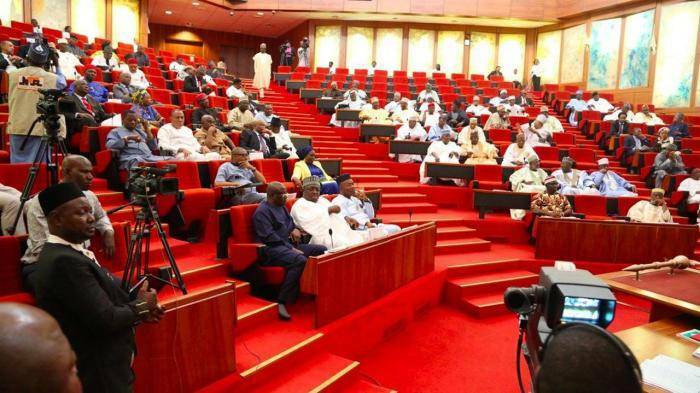 ASUU Strike Update Day 3: Senate Makes Move To End ASUU Strike ! Report has it that the Nigerian Sentae is currently making efforts to ensure the ASUU strike is called off for the overall interest of the nation’s education sector and the Nigerian students. The Senate had on Tusday manadated the Chairman, Senate Committee on Tertiary Institutions and TETFUND, Senator Jibrin Barau, APC, Kano North, to immediately initiate a meeting with the Minister of Education, Adamu Adamu and the leadership of ASUU to have a common ground to resolving the matter. This followed a point of Order raised by the Senate Leader, Senator Ahmad Lawan, All Progressives Congress, APC, Yobe North Speaking Senator Lawan who noted that the strike would have had dire consequences on Nigeria. “I want to urge ASUU (Academic Staff Union of Universities) to suspend the strike they started two days ago. Our universities are already late in some of the cases of resumption. So, there is the need for the government particularly the Federal Ministry of Education and ASUU to dialogue like the NLC and TUC did with the Federal Government, so that our students will remain in our universities. “One of the reasons why many people, if they can afford it, send their wards outside of Nigeria is the unpredictability of terms (semesters), when our universities could easily be shut.” The Senator emphasised.